Released on Slater's iconic Freek Funk album on NovaMute - one of the most seminal techno albums of the 90s - Love finally gets the remix treatment it deserves more than two decades after its initial release. Leading the charge, Burial makes one of his rare appearances on remix duties and doesn't disappoint with an atmospheric and mesmerising reimagining with an aesthetic reminiscent of Untrue. Lucy then reels out a deep-diving techno roller with precision kicks and tantalising melodies. 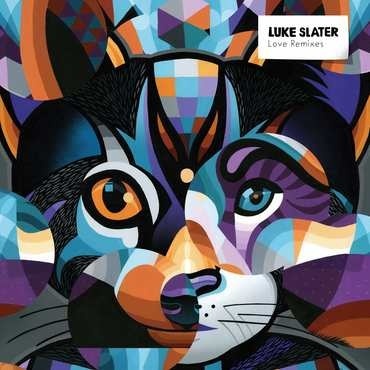 Luke Slater then adopts his The 7th Plain moniker for a collage of sound extending past the 15-minute mark, before upping the energy with a moody reverberating number as Planetary Assault Systems. Marcel Dettmann provides two takes on Love; his 'City' remix features a cacophony of metallic rhythm, ebbing pads and plenty of swing whilst mantra-like vocals operate throughout, followed by the thudding Black Glove remix with its murky tones and rattling effects. Cascading drums and lively trumpets is next in Silent Servant's upbeat and infectious take, until Scuba concludes the release under his SCB alias with a high-tempo cut fuelled by funk complete with an idyllic breakdown.